Through a season of untroubled ease, the lives of these five move with a ritualized grace until, one night, a ragged, starving black American street man breaks into the house. And, in a single moment, with Valerian's perverse decision not to call for help but instead to invite the man to sit with them and eat, everything changes. Valerian moves toward a larger abdication. Margaret's delicate and enduring deception is shattered. The butler and his wife are forced into acknowledging their illusions. And Jadine, who at first is repelled by the intruder, finds herself moving inexorably toward him--he calls himself Son; he is a kind of black man she has dreaded since childhood; uneducated, violent, contemptuous of her privilege. The author makes the story flow very nicely. This is a very well written story, and an incredible book to listen to. I would definitely recommend to all. I did listen to the whole book, but the story didn't seem to have a point. The ending was very incomplete, not wrapping the story for any of the characters. 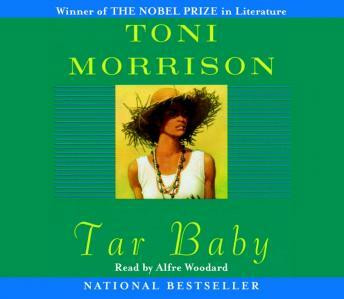 Morrison is certainly poetic, but the novel was neither interesting or thought provoking. I didn't even listen to this selection, because the 1st CD didn't hold my interest. That never happens. I didn't like that at all. I listened to this book, I don't like when I read books or listen to books and the ending is not clear. If you like unfinshed books or stories this is a book for you. This story was filled with the difficulties that we all face in new relationships and long term marriages. It demonstrated degrees of love and lust. It is an easy listen.